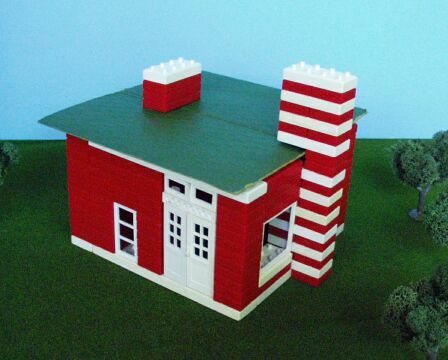 This modern house design was inspired by Playskool's multi-colored version of American Plastic Bricks. A striped chimney is flanked by dual picture windows. Transom windows are located above the main double-door entrance.